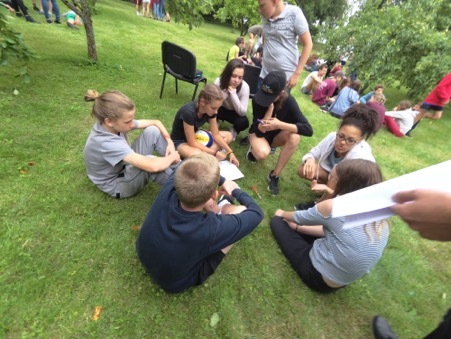 Workshop was organized to promote the idea of the project for youth ‘’T.R.Y’’ among the kids of former Latvian refugees, who fled Latvia during Soviet occupation times. Non-formal education methods, group work, various discussions among youngsters in smaller groups were engaged. The participants shared their points of view of a life in another country, among people with different cultures and backgrounds, and the importance of keeping the traditional values of their parent’s home country. Youngsters shared many valuable things from practical experience living in foreign countries and being somehow foreigners themselves. Pointing out also the importance of knowing the language of the country of residence that is main thing for the successful integration process in other communities.